Maximize your deductions, get your finances in order, and plan for the future by depending on our accounting services in Conroe, TX. The accountant at Pierson & Pierson, CPA'S PLLC does all of this and more for individuals, as well as businesses. 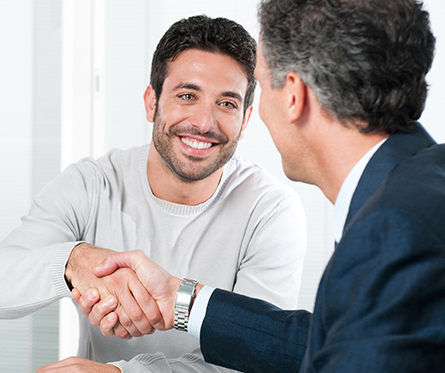 Grow your retirement account and your business with our expert guidance. The owner of our accounting firm is a CPA with more than 28 years of experience. He sets the standard for providing exceptional service for our clients in Conroe, Houston, The Woodlands, Spring, and Kingwood, Texas. Request our accounting services for all of your financial needs. We honor firefighters, police officers, and military members by providing them with discounts for their service to our neighbors and country. You may have neither the time nor inclination for accounting and finances in your personal life. Ask us to serve as your personal accountant. For instance, we may be able to find sizable deductions when we accurately prepare your taxes. In addition, we can help you get out of debt and straighten out your finances. Perhaps, you need us to assist with retirement planning or financial planning for your children's college education. Let us help you make wise financial decisions that benefit you and your family. Our professionals have the knowledge and experience that makes all the difference in the services we provide you. Contact us today for a personal or business accountant who looks after your taxes and finances. We provide tax preparation and bookkeeping, as well as financial and accounting services for residents of Conroe, Houston, The Woodlands, Spring, Tomball, Montgomery, Magnolia and Kingwood, Texas. Conroe, Houston, The Woodlands, Spring, Tomball, Montgomery, Magnolia and Kingwood, Texas.